Why Bison Fur Makes the Best Fur Coat | Bitterroot Bison Co.
You might find yourself questioning why and if the North American Bison makes the highest quality fur coat. Well, it might be easiest to learn why if we take a quick trip back in time. It’s 1000 AD. Columbus has yet to sail any ocean blue, or be born, for that matter. Vikings are just now taking their seaworthiness across the Atlantic led by Leif Ericson. The Holy Roman Empire was in its prime if it can be called that, and a large portion of the peoples native to North America were migrating, adapting, and growing all in pursuit of one thing: the North American Bison. Its uses were many for the Native Americans, and the species was revered for its utility. Successful hunts could feed tribes for days or even weeks, while the hide was used for clothing and shelter from the harsh elements. 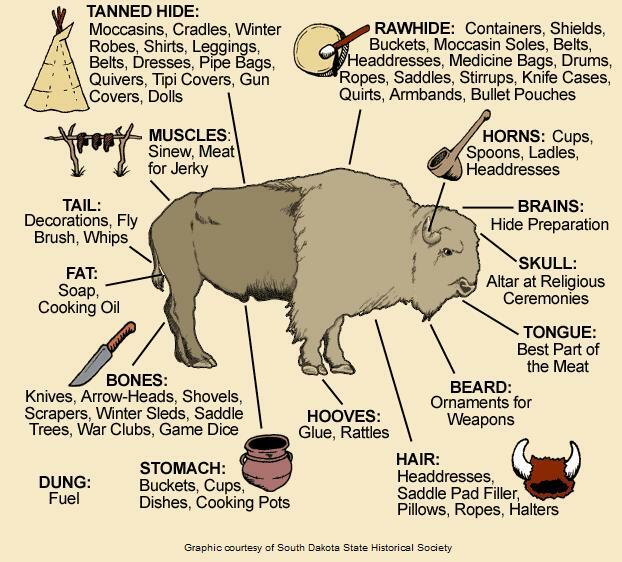 The durability, utility, and comfort bison fur provides the Native Americans are what drive it’s popularity as a fur product today. Bison fur is incredibly valuable for its durability alone. Thick hides meant for insulation and protection from the sharp teeth and claws of predators are covered in a dense nest of fur, with a thick outer layer meant for staving off the bitter winter cold and a thin down layer for trapping in body heat. The duality of these fur coats keep bison protected and comfortable in the harshest of climates, and provide for bison furs versatility in making clothing and textiles. The combination of these two coats and the thick bison hide make for durable area rugs that can easily be cleaned and withstand the test of time. Their fur is soft enough that pillows made from the material are as comfortable as the pillow on your bed. And because it’s not hollow and made to resist and absorb water unlike many other furs, bison fur is less likely to shrink when cleaned, and often only becomes softer with time. If you’ve seen a bison up close, you might be doubting how soft a cleaned and prepared bison fur coat can be. Bison fur in the wild is dense, coarse, and packed in with dirt and dust. Bison take many efforts during their lifetime to make sure their fur is loaded with dirt because it helps keep their skin cleaner and defend against bugs. But once cleaned and processed, bison fur is some of the softest in the world, especially the undercoat. Bison fur is actually comparable in size to fox fur with individual fur strands in the overcoat being just double the width of fox fur. The inner coat, however, comes in at only 30-50 microns in diameter, which is roughly the same as a human hair, and smaller than most individual fox hairs. This point we shouldn't really have to prove, but we will anyway. There are only a few survivors left in North America from the bygone days of the Ice Ages, and the most notable is the bison. While mobility certainly helped this keystone species survive the frigid temperatures, a dense hide and fur played an equally vital role. As mammoths, saber-toothed cats, and woolly rhinos dwindled and eventually became extinct by 1600 BCE, bison began to thrive, all in part thanks to one of the warmest fur coats in the animal kingdom. The durability and comfort provided by bison fur make it one of the most valuable animal hides out there today. Their fur is s actually hypoallergenic as well, causing no known allergic reactions to humans. So if you’re convinced, just like we are, that bison fur is some of the best in the animal kingdom, consider trying one of our fur coats, hats, gloves, or lovely throw pillows.